NBCUniversal has signed a one-year first-look deal with UK writing duo Jim Keeble and Dudi Appleton. NBCU International Television Production’s deal runs through Keeble and Appleton’s indie 87 Films and encompasses their writing and producing capabilities. NBCUITVP’s executive VP, scripted programming JoAnn Alfano will oversee the agreement and develop 87’s scripts for the US, UK and international markets. 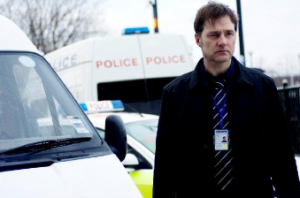 NBCUITVP and 87 first pacted together after the former acquired the spec of Effective Range, a thriller series coproduced with Scott Free UK that’s being shopped as a straight-to-series international show. Keeble and Appleton are known for producing Sky 1 drama Thorne (pictured) and also wrote and directed five seasons of BBC forensic thriller series Silent Witness. They also developed AMC Cold War pilot The Wall and are working on The Originals for the BBC, which will look at the beginnings of the SAS special force in World War II, and a new police series, Shadows. UTA and Casarotto Ramsay represent them.